If the Supreme Court Overturns Health Care Reform, What Are the Consequences? Wouldn’t you think that if the Affordable Care Act (ACA) gets a thumbs up from the U.S. Supreme Court that nonprofits, including nonprofit hospitals and health care providers, would benefit? Moody’s Investors Service says that the SCOTUS decision won’t make that much of a difference for nonprofit hospitals, but federal budget issues likely to cause cutbacks in Medicare and Medicaid mean tough times. 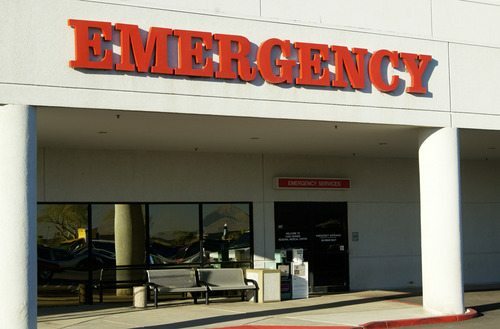 As a result, Moody’s has issued a negative outlook for nonprofit hospitals due to a likelihood of bond rating downgrades exceeding upgrades in 2012. Even though the Affordable Care Act leaves many people uninsured, including undocumented immigrants, by ensuring insurance coverage for most people, most hospitals’ charity care burdens should be sharply reduced. Wouldn’t that make nonprofit hospitals more “profitable?” For example, three million uninsured Californians will get insurance coverage if the Supreme Court doesn’t undo the legislation. The federal legislation will, in theory, add billions in new federal spending to further reduce the burdens on nonprofit hospitals. So what happens if the ACA goes down at the hands of Justice Roberts, Justice Scalia, and their peers? Premiums for individual coverage might jump from 10 to 30 percent. Bloomberg News calls the apprehension of a negative decision by the Court “uninsured angst,” with the nearly 50 million uninsured (and millions more in high risk pools or paying high premiums) looking forward to the potential of unfulfilled promises of federal help and perhaps even higher insurance company premiums. In many states, though, failure to uphold the ACA would undo progress toward creating nonprofit health cooperatives that are meant to be affordable and accessible alternatives to the insurance companies. Even under conservative Republican Gov. Jan Brewer, Arizona has proceeded to form “consumer oriented and cooperated plan” (CO-OP) organizations, accepting $93.3 million just this month to jumpstart the nonprofit Compass Cooperative Health Network of Arizona. Elsewhere, the Connecticut State Medical Society has sponsored the creation of HealthyCT, which received $75.8 million in start-up loan money from the U.S. Department of Health and Human Services. These are just two of 14 state-level CO-OPs that have received a total of over $1.15 billion from HHS so far from a pool of more than $3 billion in grants and loans for new nonprofit cooperatively run health insurers. The plan is that these nonprofit coops would be up and running by 2014. The attractiveness of the cooperative health organizations is that the legislation not only expands coverage for almost all Americans, but it provides direct support for the creation of a different kind of competition to the behemoth private insurers. The potential for innovation through cooperative ownership and management is a big step forward, albeit unnecessary had the government pursued a single-payer system. Already, some nonprofits have been eligible to take advantage of the 25 percent credit for the cost of their employers’ contribution of providing health insurance, an incentive that nonprofits needed regardless of the potential availability of national insurance coverage due to the crushing burden they were already facing from health insurance costs. How many nonprofits are still providing health insurance because of that credit that they would have otherwise have had to drop, especially in a difficult funding environment? Republican governors and attorneys general have brought the individual mandate to the Supreme Court in the hope that the Court rules that provision and the rest of the Affordable Care Act unconstitutional—or that, even if the Court knocks down just the individual mandate, it will end up undermining the program’s functional effectiveness. Do they imagine that they could undo the ACA and tell 50 million uninsured people to hope that the private market somehow meets their needs? Will they personally be willing to tell people with preexisting conditions that they can’t be assured coverage? Will they be willing to tell hospitals to gear up for even more charity case cases? Some states, such as California and Oregon, were working on their own programs for expanding health insurance coverage. In Oregon, the state government has been creating “coordinated care organizations,” defined by Chris DeMars of the Northwest Health Foundation as “teams of providers that will be really diverse groups of stakeholders—health systems, primary care providers in some communities, public health departments, maybe social service organizations that will all come together and provide care for Medicaid recipients in a coordinated way—physical health, mental health and oral-health care.” The lack of a federal program would make the coordinated care organizations that Oregon plans to put into action in the next few months doubly important.